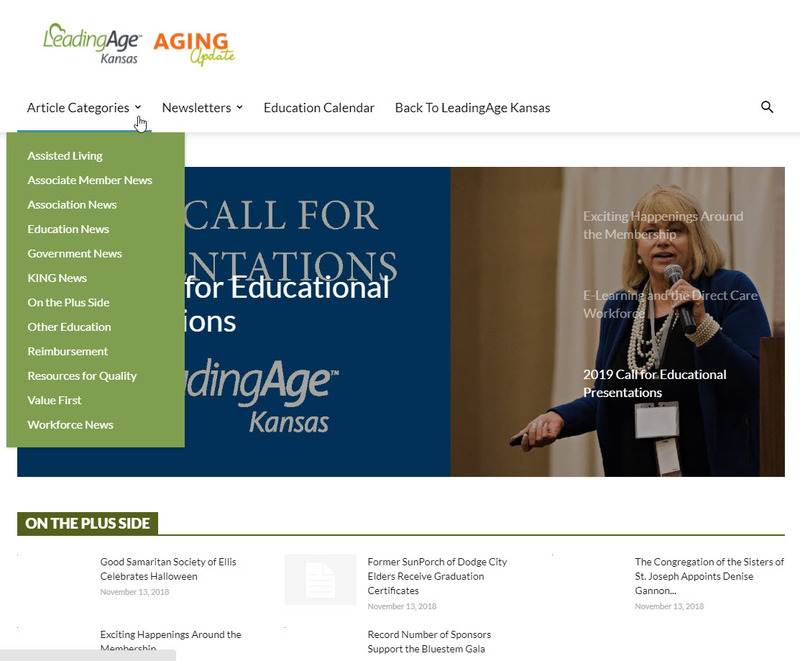 Welcome to the LeadingAge Kansas Member Landing Page, ! You made the right choice to visit our website today! What can we help you with? Don't forget to call us with any questions you have. 1.800.264.5242. Even if you think we don't know the answer, we probably do or know someone who does. Never miss an issue of the Aging Update - Follow along on our blog.